Popdose Exclusive Single Premiere: Mark Wilkinson, "Thought You'd Be Around"
From a quiet cafe to a calming coast, acclaimed Aussie singer-songwriter Mark Wilkinson is searching nearly everywhere for healing – from the heartbreak of lost love on his melancholic new single, “Thought You’d Be Around”, set for digital release on January 25th, 2019. The first track from his forthcoming album, Blue Eyed Girls, “Thought You’d Be Around” delivers a warm yet subtle sentimentality. Popdose is pleased to present to you this exclusive listen. Blue Eyed Girls comes on the heels of Wilkinson’s 2018 Wasted Hours, which hit #1 on the Australian independent album chart and iTunes singer-songwriter chart. 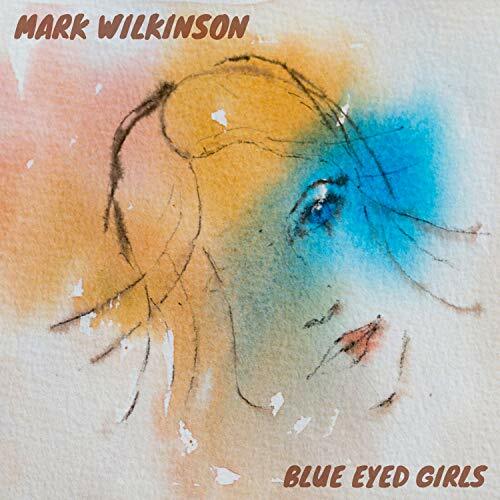 Wilkinson’s previous E.P., Lost in a Dream, debuted at #1 on the iTunes singer-songwriter chart in Australia, in May, 2017. Wilkinson will support the release of the album with a 30+ date world tour. Past tours have included sold-out shows across the world, including in London, New York and Sydney. Wilkinson has opened for some of music’s biggest stars, including Seal, Peter Frampton, and Brian Wilson. Sit back and absorb this – you may find it to be a tonic for your own soul. Blue Eyed Girls will be released on Friday, March 8th, 2019.